AWelcome to TeacherTube, where you’ll discover an assortment of free resources for Algebra Worksheets and videos for home and classroom use. By providing math worksheets and videos, we are here to help to improve your child’s abilities, present them with new ideas in a fun, anxiety free way and assist you in any way we can. TeacherTube offers twelve different topics covering Basic Skills, Equations, Exponents, Inequalities, Linear Functions, Polynomials, Quadratic Functions, Radical Expressions, Rational Expressions, Systems of Equations, Trigonometry, and Word Problems for your use. 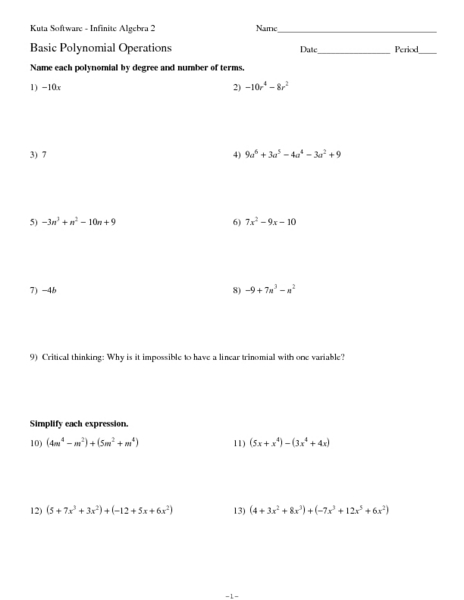 Our Algebra Worksheets are free to download, easy to use, and very flexible. 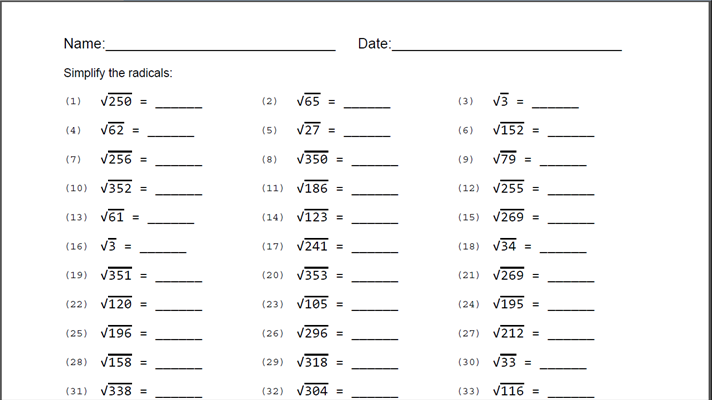 These Algebra Worksheets are a good resource for students in the 5th Grade through the 8th Grade. This segment contains the majority of the realistic reviews for the Basics for Algebra Worksheets. We as of now have worksheets covering composing variable expressions, request of operations, assessing expressions, number sets, including and subtracting sound numbers, increasing and separating normal numbers, The Distributive Property, joining like terms, and percent of progress. These Basics for Algebra Worksheets are a nice resource for kids in the seventh Grade through the tenth Grade. This area contains the resources for the Equations Worksheets. We at present have worksheets covering one and two step mathematical statements with whole numbers, decimals, and parts. We likewise have multi-step mathematical statements with numbers and decimals. We have mathematical statement worksheets that cover outright values, extents, and percent issues. We have a few word issues in this segment, for example, one and two stage mathematical statements, "separation, rate, and time" issues, blend issues, and work word issues. 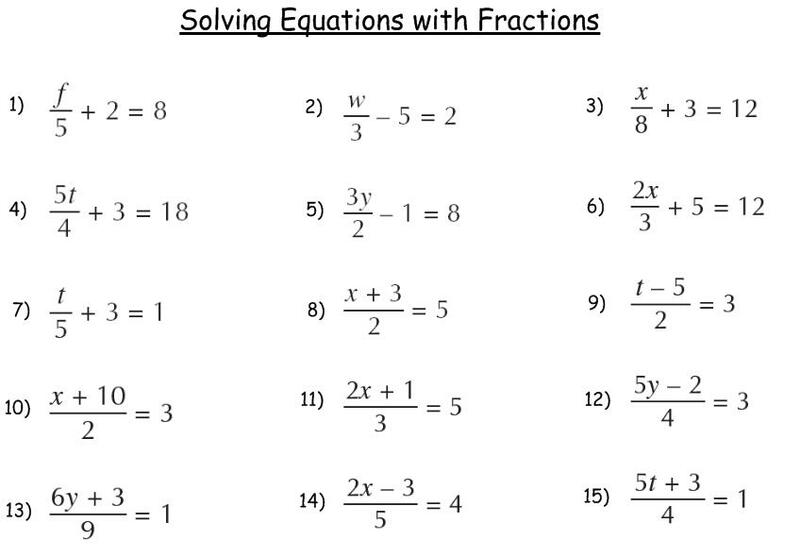 These Equations Worksheets are a decent asset for understudies in the seventh Grade through the tenth Grade. This area contains resources for the Exponents Worksheets. We as of now have worksheets that include exponents, graphing exponents functions, exponents with multiplication, exponents with division, powers of products, powers of quotients, operations with exponents, writing scientific notation. These Exponents Worksheets are a decent asset for understudies in the seventh Grade through the tenth Grade. This segment contains resources for Inequalities Worksheets. 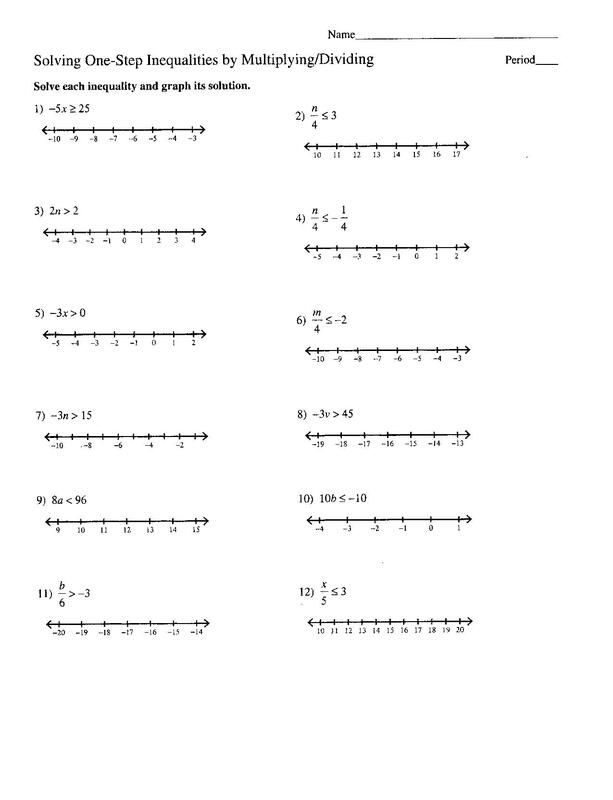 We right now have worksheets covering inequality properties handout, graphing single variable inequalities, one step inequalities by adding and subtracting, one step inequalities by multiplying and dividing, two step inequalities, multiple step inequalities, compound inequalities, and absolute value inequalities. These Inequalities Worksheets are a decent asset for understudies in the seventh Grade through the tenth Grade. This segment contains the majority of the realistic reviews for the Linear Equations Worksheets. 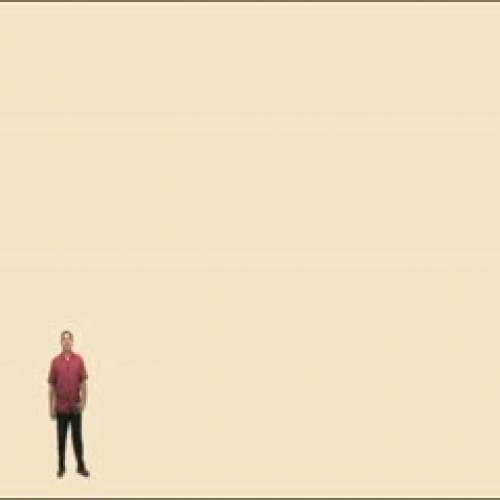 We as of now have worksheets covering finding slope from a graphed line, find slope from a pair of points, finding slope and y-intercept from a linear equation, graphing lines in slope-intercept form, graphing lines in standard form, working with linear equations, writing linear equations, graphing linear inequalities, and graphing absolute values. These Linear Equations Worksheets are a decent asset for understudies in the seventh Grade through the tenth Grade. This area contains the majority of the realistic reviews for the Monomials and Polynomials Worksheets. We as of now have worksheets covering distinguishing sorts of monomials and polynomials, recognizing the level of monomials and polynomials, naming of monomials and polynomials, including and subtracting monomials and polynomials, increasing monomials and polynomials, duplicating unique case polynomials, partitioning polynomials, considering quadratic polynomials, figuring extraordinary case polynomials, and calculating by gathering polynomials. These Monomials and Polynomials Worksheets are a decent asset for understudies in the seventh Grade through the tenth Grade. This segment contains the greater part of the realistic reviews for the Quadratic Functions Worksheets. We right now have worksheets covering diagramming quadratic capacities, charting quadratic disparities, and finishing the square. We additionally have worksheets for taking so as to explain quadratic comparisons the square root, by calculating, with the quadratic equation, and by finishing the square. 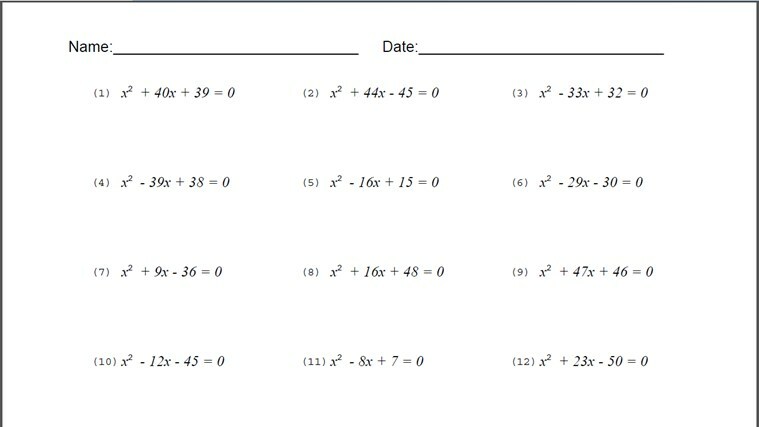 These Quadratic Functions Worksheets are a decent asset for understudies in the seventh Grade through the tenth Grade. This area contains the greater part of the realistic sneak peaks for the Radical Expressions Worksheets. We as of now have worksheets covering rearranging radicals expressions, including and subtracting radicals expressions, increasing radicals expressions, partitioning radicals expressions, tackling radical comparisons, utilizing the separation recipe, and utilizing the midpoint equation. These Radical Expressions Worksheets are a decent asset for understudies in the seventh Grade through the tenth Grade. This segment contains the greater part of the realistic sneak peaks for the Rational Expressions Worksheets. We as of now have worksheets covering improving judicious expressions, including and subtracting sound expressions, duplicating reasonable expressions, isolating discerning expressions, and illuminating objective mathematical statements. These Rational Expressions Worksheets are a decent asset for understudies in the seventh Grade through the tenth Grade. This area contains the greater part of the realistic reviews for the System of Equations Worksheets. We right now have worksheets covering freebee for frameworks of mathematical statements, fathoming logarithmically two variable frameworks of comparisons, illuminating graphically two variable frameworks of comparisons, and explaining graphically two variable frameworks of imbalances. These System of Equations Worksheets are a decent asset for understudies in the seventh Grade through the tenth Grade. 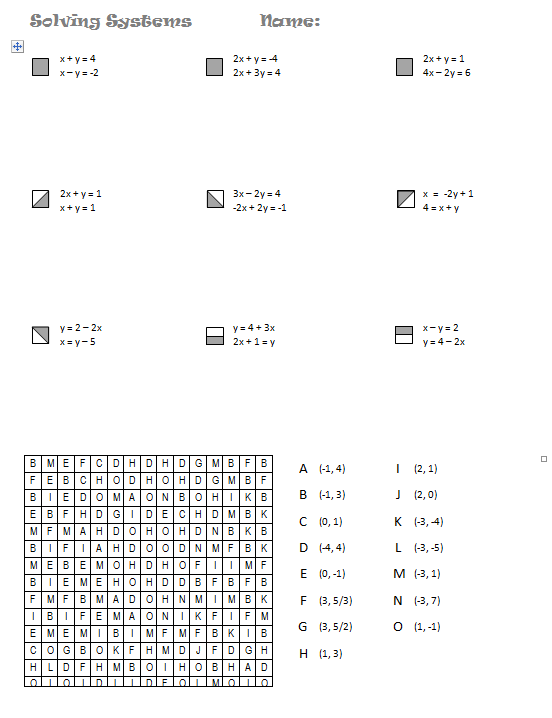 TThis area contains the greater part of the realistic sneak peaks for the Trigonometry Worksheets. We as of now have worksheets covering trigonometric proportions, converse trigonometric proportions, fathoming right triangles, and multi-step issues. 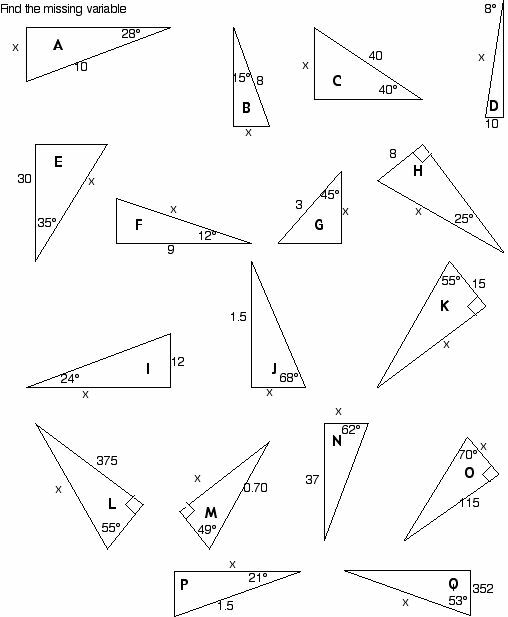 These Trigonometry Worksheets are a decent asset for understudies in the seventh Grade through the tenth Grade. 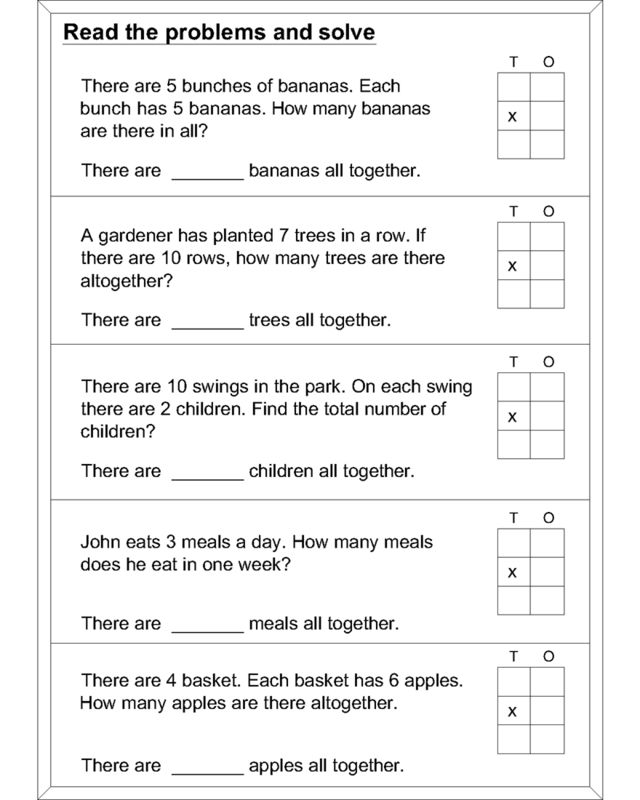 This segment contains the majority of the realistic sneak peaks for the Word Problems Worksheets. We right now have worksheets covering one and two stage comparisons, "separation, rate, and time" issues, blend issues, and work issues. These Word Problems Worksheets are a decent asset for understudies in the seventh Grade through the tenth Grade.